1.) In a bowl beat your eggs and sugar with a wire whisk for around 3 minutes or until fluffy. 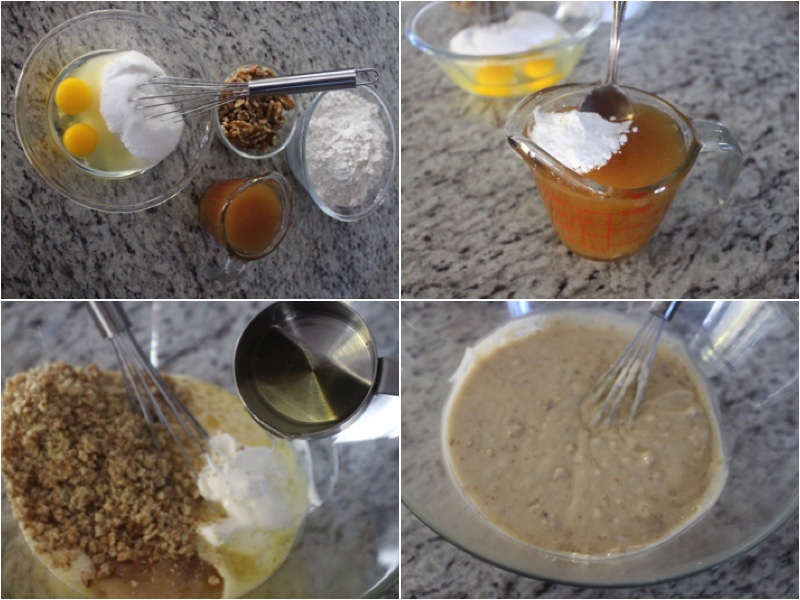 Continuing mix your honey with your baking soda. 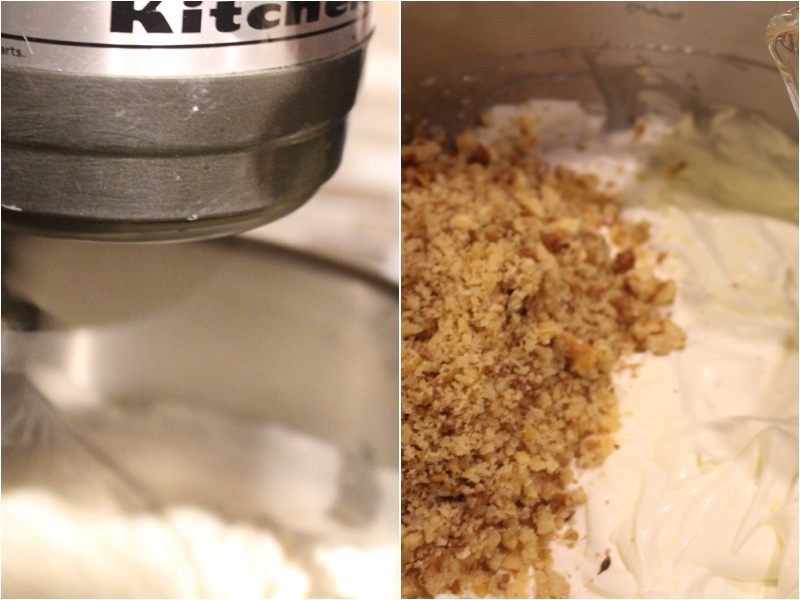 In a large bowl add your crushed wall nuts, honey mixture, eggs mixture, sour cream and vegetable oil. Using a while wish mix well until you have a good even mixture. 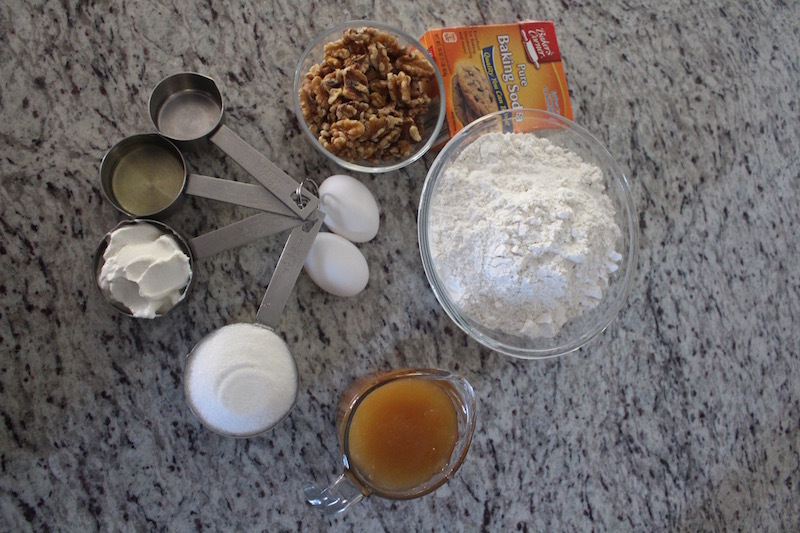 After add your sifted flour and mix again. 2.) 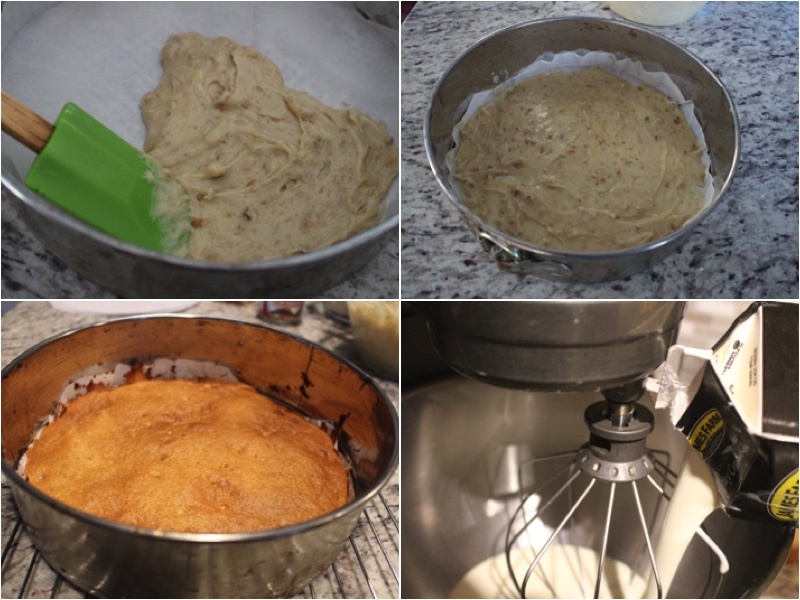 Add your dough into a cake form with parchment paper, bake for 5 minutes on 400ºF. Repeat this process 8 times so you have 8 layers. While your layers are baking, make your cream. 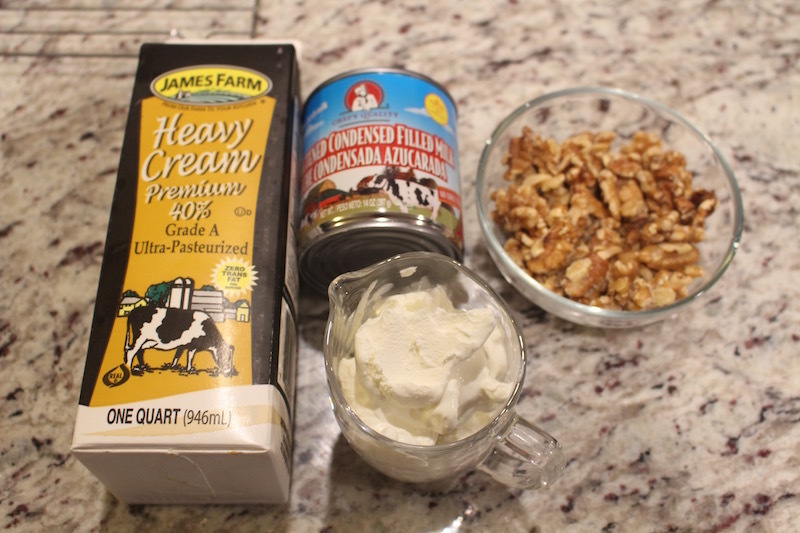 Beat the heavy cream until you have a soft cream. 3.) Continuing to mix add your condensed milk and beat for 3 more minutes. After add your crushed wall nuts and mix it in using a spatula. 4.) 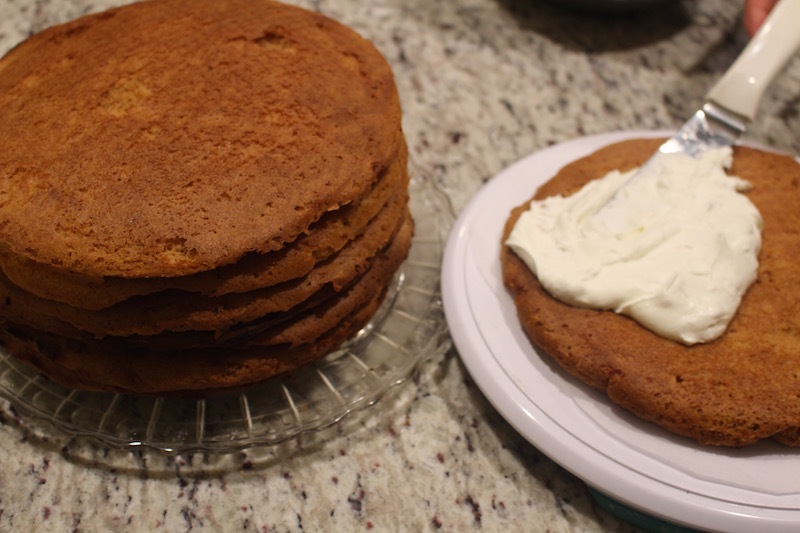 Build up your layers by spreading cream on each layer with a spatula until you have 8 layers, Cover the top and sides of the cake. 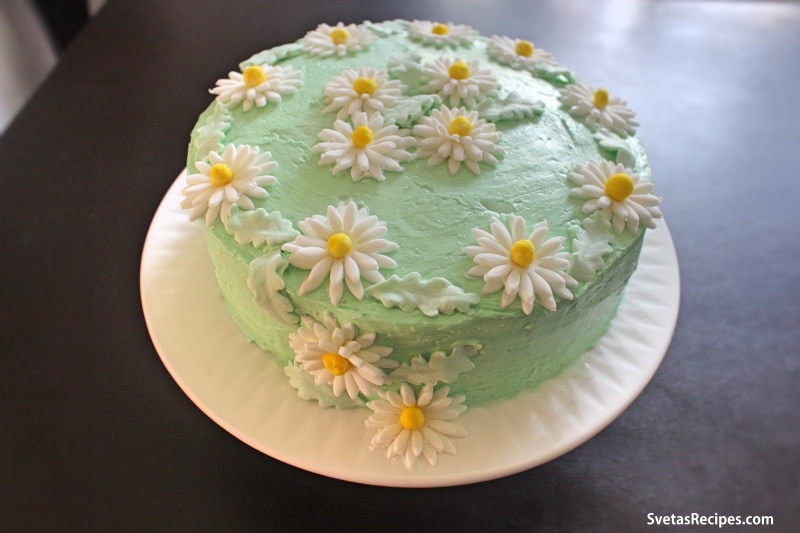 Decorate with things like fondant and icing. Cut and enjoy with a fresh cup of tea :)! 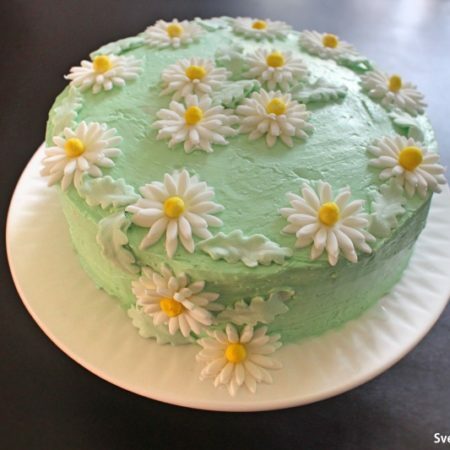 NOTE: The daisy’s are made from fondant I will be making a post soon on how to make them. 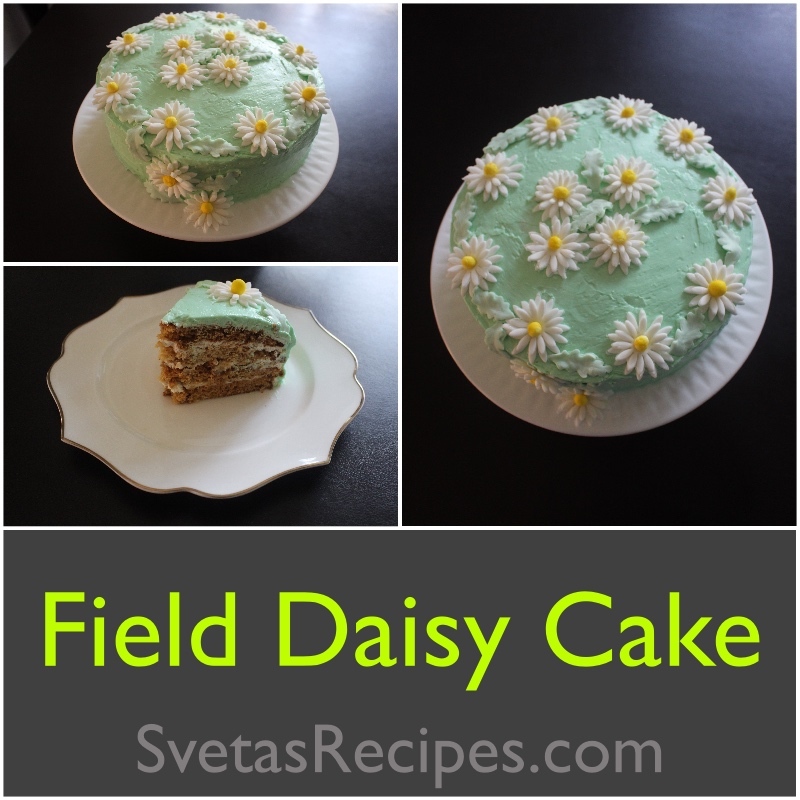 This cake is perfect for any family gathering, it also gets a lot of attention, I recommend it for anyone with a large family. Make sure to try this cake or you'll be missing out. Hi Svetlana! I’m trying out this cake today, and I’m confused out 1 can of heavy whip, can you please tell me the ounces that way I’ll do the cream correctly. Thanks! I’m excited to bake this cake, it looks delicious!!! The carton that I have is One Quart or 946ML. The Whole carton is used in the recipe.